I can never get enough citrus! Take a walk in nature it will do you the world of good. Christmas is not always cold! It’s hot in many countries so here’s a list of “cold Chrustmas” and “warm Christmas” things to make. 1. Hey I love the cloves-in-the-orange decoration! It’s an old classic and works for both a southern and northern Christmas. 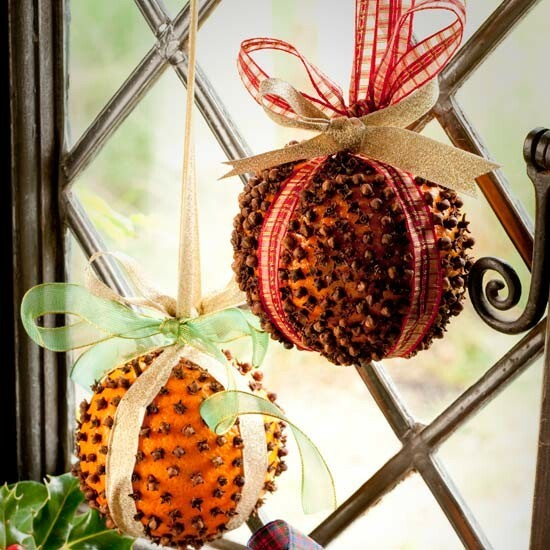 If you’re in a hot Christmas climate this works really well if you hang your orange in a window so the stinking hot southern sun acts as a vapouriser for the cloves and orange rind – instant aromatherapy! If you’re having a cold Christmas hang them near a fire or a heater for a similar effect. Method: get an orange and stick lots of cloves in the rind. The more cloves the better! 2. 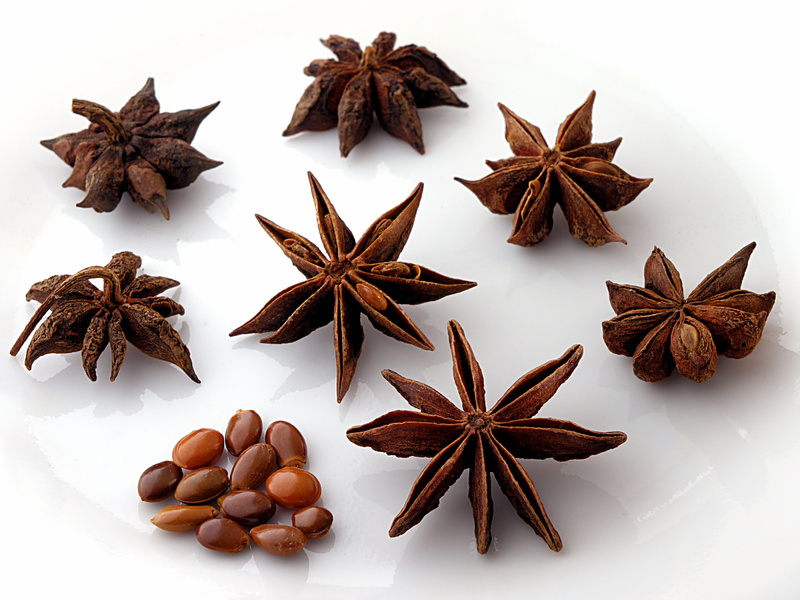 Use some the whole spices as a decoration on your Christmas tree – nutmeg (use fine jewelry wire to tie them on), star anise, cinnamon sticks and cassia sticks. Or layer them all in a slim vase for decoration. 1. For a summer Christmas try using fresh herbs in a vase instead of flowers – you may also be more inclined to use them in your cooking if they are out on display. 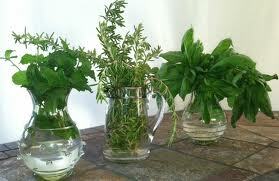 Corriander and mint are cooling herbs – isn’t nature marvelous? 2. For a refreshing, hydrating drink try cold sparkling mineral water, a pinch of sea salt, a piece of lemon and a good splash of rosewater or even orange blossom water. It tastes wonderful! Add a splash of rosewater to a gin and tonic too – yum! 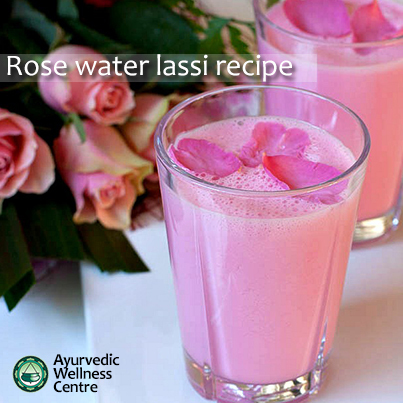 Rose oil and rose water help the body deal with heat – have you ever had a rosewater lassi in India? Why not try and make a rosewater lassi yourself? 1. 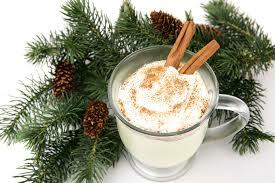 Eggnog – I never really got into it but, not only are you having a nutritious and warming drink, you are also having an aromatherapy treatment at the same time with all those lovely spices! Your house will smell fantastic when you make this traditional drink. 2. Mulled Wine – same as above. Spices and fruit rinds in wine – doesn’t get much better than that! All the essential oils will infuse into the wine to give you a scented home and a lovely beverage. Both these drinks are traditional winter drinks that have been around for a long time. 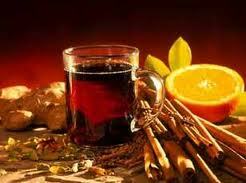 They are cold tonics for the body and all those lovely spices and foods combine to act like medicine. Remember our medicine today is a far cry from the original medicines from centuries ago that were all natural substances! So this Christmas wherever you are remember to gather all your natural herbs and spices, and flowers, and use them in your cooking so you are creating a culinary AND scented extravaganza! Aromatherapy doesn’t have to be difficult – scented delights are all around you!